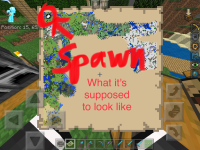 In my Minecraft world, all of the maps in the world suddenly went missing, and when I created a new one, the map number was back to #1. 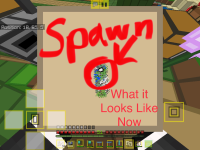 Also, I created the map in the same place as the other one, but instead of me being in the top left corner of the map, I ended up in the dead center, meaning that I would have to create multiple maps to map out the path from Spawn to the nearest Desert biome, which is around 2,000 blocks away. This happened after I updated Minecraft to 1.5.3. I am using Minecraft for iOS on an iPad Mini 4 with iOS 11.4 on it. It is really frustrating. Please comment below and vote for this issue if you have had this happen to you as well. I forgot to mention that I use that world to play with my friends through multiplayer, inviting them to the world through Xbox Live.